Whether you’re a weekend warrior or a player on a team, minor trauma and sports injuries are common occurrences for both children and adults. 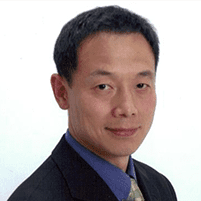 Hao Zhang, MD, Ph.D., of Edison Wellness Medical Group in Edison, New Jersey, is an expert at treating patients of all ages for minor trauma and sports-related injuries. When you or a family member needs prompt medical attention for an injury, call or schedule an appointment with Dr. Zhang using the online booking tool. What is considered minor trauma? Most sports injuries are injuries to muscles, ligaments, and tendons that result in instant swelling, pain, and bruising. Typical sports-related sprains and strains are to the ankles, knees, and wrists — usually caused by overuse or intense force. Sprains involve the partial or complete tearing or stretching of your ligaments. The severity of a sprain and the accompanying pain is often related to how many ligaments you injure and the severity of the tear. A muscle or tendon strain is another common sports injury in which you overexert a muscle or tendon by force or stretching. A strain is similar to a sprain in that it may result in the partial or complete tear of the muscle or tendon. Strains often occur in the lower back and hamstrings. Sports that require gripping — like tennis, rowing, and golf — may increase the risk of hand and forearm strains. Elbow strains are common for those who play racquetball, tennis, or any sport that requires throwing, such as football and baseball. When should I seek medical treatment for a sports injury or minor trauma? When home remedies don’t seem to be helping your injury, or it becomes more painful after you’ve attempted to treat the injury yourself, it’s a good idea to contact Dr. Zhang. He evaluates your trauma or injury to determine the best course of treatment so you can heal as quickly as possible and prevent further complications. If you suffer a minor trauma or sports injury, it’s best to seek medical attention to be sure you get the effective treatment you need. Call or schedule an appointment at Edison Wellness Medical Group today so Dr. Zhang can get you on the road to recovery.